Along with sharing hugs and kisses all around, shower your family with some special foods made with love—and ease. Whether your intentions are romantic or from that deep place called parenthood, everyone you love will love these ideas. Spell out just how much you care with these simple pickle-cream cheese rollups (pictured above). 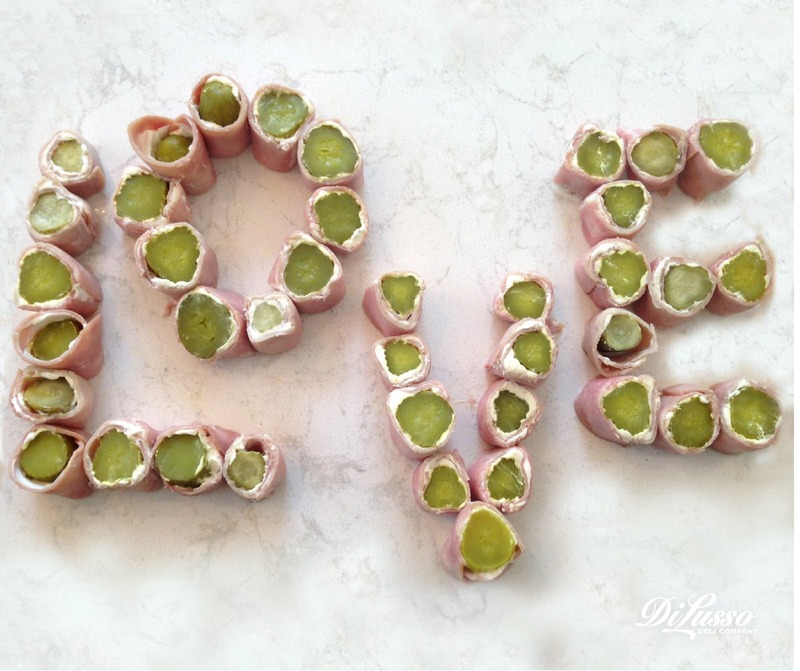 Spread softened cream cheese on slices of your favorite DI LUSSO® Ham, and roll the slices around dill pickles cut in half crosswise. 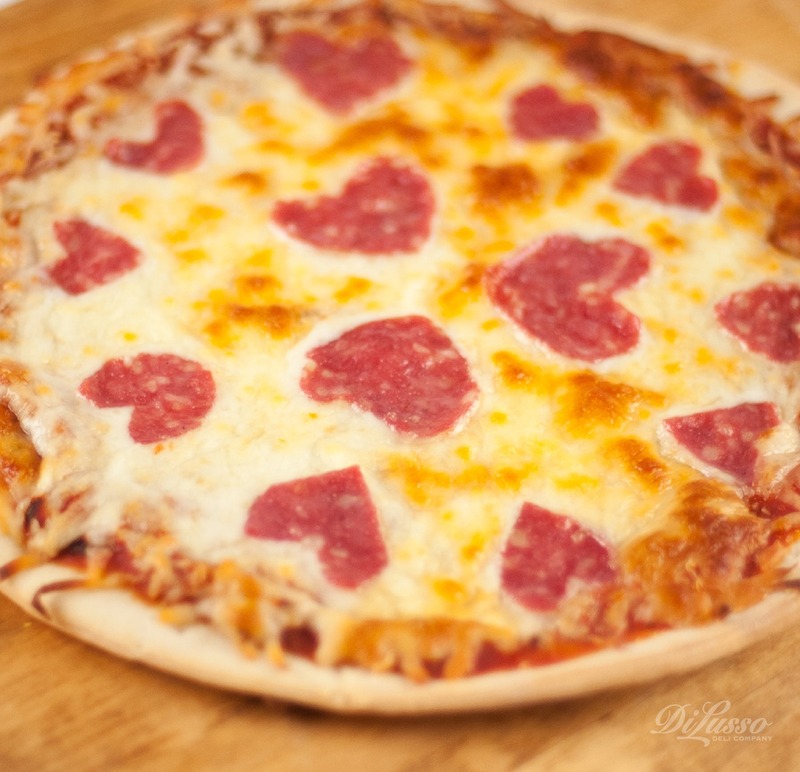 Use a small heart-shaped cookie cutter to create DI LUSSO® Sopressata hearts to scatter atop a pizza (it’ll make even a frozen pizza special!). 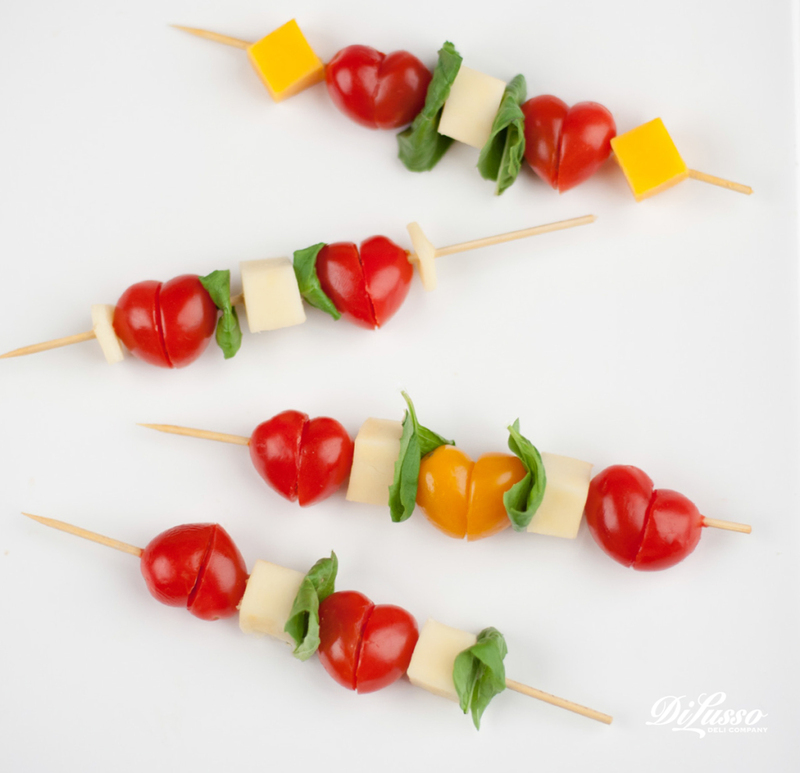 Lovebugs of all ages will fall head over heels for these adorable tomato and cheese skewers. We <3 yummy food!